Monument is a new group for creative people of all stripes: artistic, scientific, and academic. Our headquarters in San Francisco is a workspace, a gallery, an event space, a residence, and a place to meet friends new and old. We seek to provide a crew of the unlikely and the skilled with the infrastructure to do whatever they do best. We have built a headquarters in San Francisco — we opened September 2016. 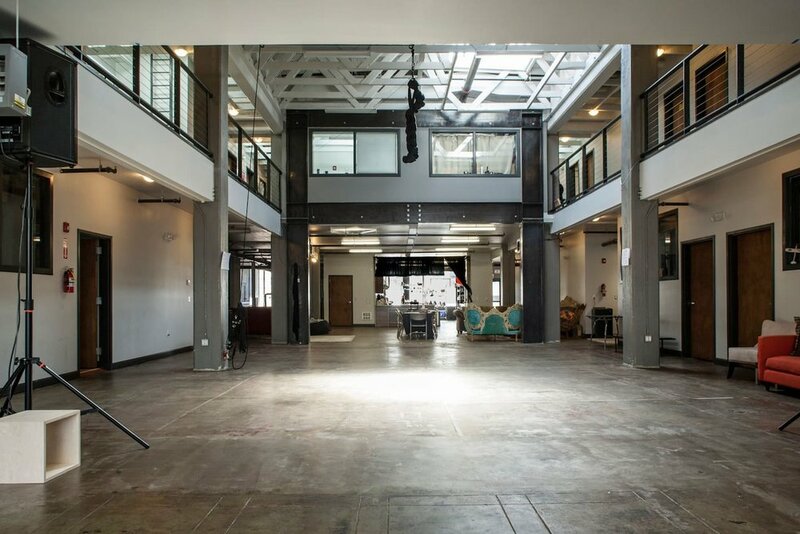 The first floor is a meeting and production space for all of the group, including workshops, a theater, lounges, and a 500-person event space. The second floor has 24 private live/work bays of varying size, customizable as their inhabitants see fit. This is a space for living, not just a space where people live. We seek to balance comfortable domesticity, diligent industry, and far-flung speculation. In the future, we hope to expand this project and build locations in key cities around the world. We are busy refining the space, and filling it with our dreams, but we’d love to fill it with some of yours, too. Show us what you’ve got.